Ahead of the match with Club Brugge, Alan Pardew has been talking about the young players he has high hopes of coming through. The manager clearly feels the way forward is to have a decent supply of younger players coming through and added to the mix. Here’s hoping that the players can make the step up as it then gives hope and extra confidence to those following them through. 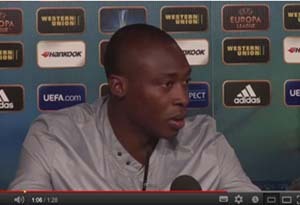 Also interviewed is Shola Ameobi talking about the upcoming match and kid brother Sammy Ameobi.